Marco Rubio Said "America Is Not A Planet" — Wait, What's That Now? Climate change was a subject of Wednesday night's Republican debate on CNN for about four whole minutes. And each of the candidates did exactly what you'd expect: They brushed the issue off and said it was too expensive for us to deal with, or that there wasn't enough evidence to say that it was a real issue. Then CNN moderator Jake Tapper asked Florida Sen. Marco Rubio why we shouldn't take out "an insurance policy" to respond to climate change. Rubio responded by saying that "America is not a planet," and people became super confused. Specifically, Rubio said that "working families can't afford the new costs related to emissions offsets." Then he said that "America is not a planet. We're not even the largest carbon producer," and that favoring policies that would help address climate change by instituting emissions caps would make America "a harder place to work," for families. So Rubio's logic seems to say that since America isn't a planet, it shouldn't have to address the global crisis that is climate change. The U.S. is actually second in carbon-producing countries, but for some reason, Rubio thinks that not being first should mean that we aren't responsible at all. Which just doesn't make sense. Humans are not responsible for climate change in the way some of these people out there are trying to make us believe, for the following reason: I believe the climate is changing because there’s never been a moment where the climate is not changing. The question is, what percentage of that … is due to human activity? If we do the things they want us to do, cap-and-trade, you name it, how much will that change the pace of climate change versus how much will that cost to our economy? But Twitter users were quick to point out that investing in clean energy would actually help create a lot of new jobs. Further, the logic that because America shouldn't do anything to curb the effects of carbon just because it isn't the number-one carbon producer doesn't make any sense. Regardless of how much carbon we produce, climate change is having real effects on the health and well-being of U.S. citizens. Rubio even awkwardly acknowledged California's drought — which scientists are saying has worsened because of climate change — at the beginning of the debate. 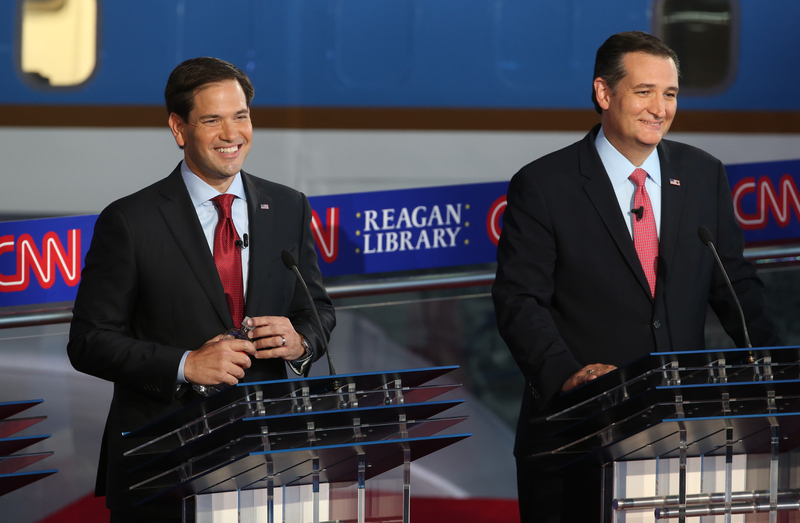 Rubio's logic was strange and nonsensical, and it clearly peeved a number of debate watchers. Climate change is becoming harder and harder for Republican candidates to deny.